When summer is winding down and school is about to start up, it is important to take a few steps in order to make sure your car is prepared for the back-to-school daily grind. There are two easy steps that ensure your car stays on the road and not on the side of the road. Routine Maintenance: carpools require short, quick trips and school drop-offs often see heavy traffic. These are both severe conditions that put extra stress on your vehicle. Make sure you change your engine oil and filters, check and replace dirty air filters, and check your tire pressure. 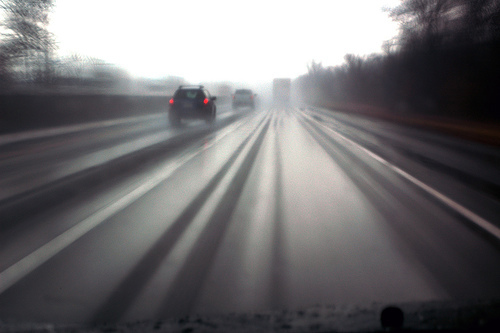 Prepare for Rain Showers: Make sure you check your windshield wipers and tire tread. It is important to make sure your wipers will work during the heavy downpour and that your tires will maintain traction with the road. Jiffy Lube of Indiana centers will perform all of the above tasks as part of the Jiffy Lube Signature Service Oil Change. Jiffy Lube will check your engine oil, filters, tire pressure, windshield wipers, and tire tread as part of their routine maintenance. Go to an Jiffy Lube of Indiana center today and receive quality preventative maintenance for your vehicle so it stays on the road and out of the shop.